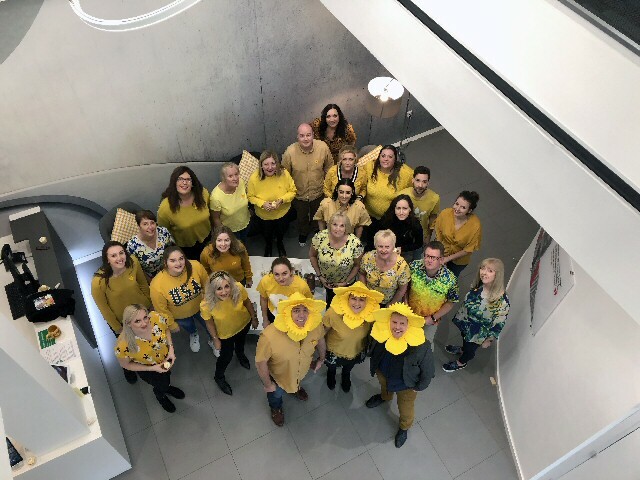 BUILT environment consultancy, Curtins has announced that it will be supporting Marie Curie as their nominated Curtins Care Charity of the Year. Over the course of 2019, staff at Curtins will aim to raise ₤15,000 to help fund the charity's care and support of people living with a terminal illness. The firm are also offering every staff member the opportunity to donate their time to Marie Curie through a Donation Day initiative. It is hoped that the Charity Donation Days will enable staff to take part in activities such as gardening at the local hospices, fundraising events, or volunteering in the high street shops, all in support of Marie Curie. The announcement coincides with the launch of the charity's biggest fundraising campaign of the year, the Great Daffodil Appeal. During March, Marie Curie's daffodil pins will be available from volunteers and in shops across UK. The money raised from the Appeal will help Marie Curie be there for more people living with a terminal illness. Marie Curie's vision is for a better life for people and their families living with a terminal illness. Their Nurses care for people in their own home, when they need them most, day or night. They have 9 hospices across the UK in Liverpool, London, Solihull, Cardiff, Bradford, Newcastle, Glasgow, Edinburgh and Belfast, providing round-the-clock, specialist care at the heart of communities. Last year, they provided support for more than 50,000 people across the UK. The charity also provides practical information and support, funds research and campaigns for more people to have access to high quality, personalised care wherever and whenever they need it. It has also launched a 6-month trial on its Support Line, where people with any clinical questions or concerns can speak to an Information and Support Nurse. This could be anything from understanding a diagnosis to explaining treatments or talking through symptoms. Rob Melling, Chief Executive at Curtins, said:- "Caring for families, individuals and communities is vitally important to us at Curtins. Every year we pledge to support a worthy charity and I'm so pleased that this year we are partnering with Marie Curie, who continue to be there for people when they're needed the most. We have a great track record of raising funds, and last year we managed to raise more than double our target for British Heart Foundation. However, we realise that there is more to charitable work than just fundraising. That is why we have now also committed to providing every member of staff with a day they can use to take part in volunteering or fundraising activities. We hope that some of our exciting plans can go some way to helping Marie Curie look after people across the UK." Kitty O'Shea, Corporate Partnerships Manager at Marie Curie, said:- "We are delighted that Curtins has pledged to support Marie Curie this year. Its staff has an impressive fundraising track record and we are excited to introduce them to the many volunteering opportunities we have within the charity. Currently, 1 in 4 people don't receive the care and support they need at the end of their life. At Marie Curie we don't think this is good enough. We need to reach more of the people that miss out at the end of their lives, but we couldn't do that without the generosity of our supporters, and partners like Curtins." Visit Marie Curie's website at:- Mariecurie.Org.UK for more information. 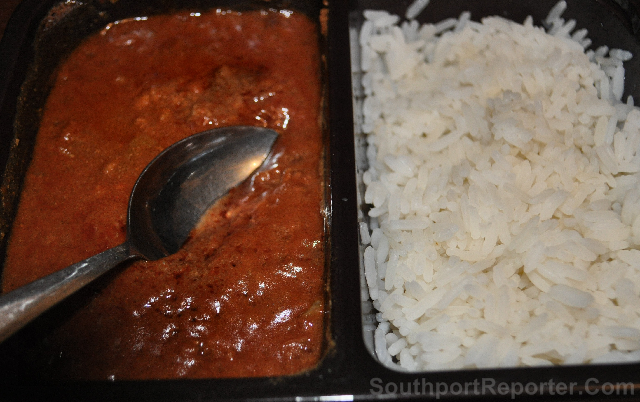 STUDENTS of North West are eating 5 takeaways and ready meals a week, spending ₤24.53 on processed food. Time constraints discourage students from cooking from scratch with 82% from North West admitting that:- 'it takes too long' and that they:- 'don't have the time' to cook. The unhealthy habits don't stop there as 56% of students also confessed that they buy food to snack on, such as crisps and chocolate. The independent survey, commissioned by the Alaska Seafood Marketing Institute also revealed that households in North West also consume 3 ready meals a week. Lack of confidence in the kitchen plays a big role as 18% admit to not knowing how to cook fish. It also seems that convenience gets the better of North West as 26% of families' claim that they opt for ready meals since it's quicker and easier than cooking a meal themselves. Together with Alaska Seafood, TV Chef Rachel Green is on a mission to help the nation eat well by creating a series of recipes that demonstrate just how easy it is to cook a healthy meal using fresh and frozen produce. Often overlooked in favour of another meat or plant based protein, seafood is hugely beneficial to a healthy diet with unrivalled levels of omega 3 fatty acids, vitamins and minerals. So much so, the NHS recommends eating at least 2 portions of fish a week. This piece of research confirmed that in fact 89% of students in the UK don't eat the recommended amount of fish alongside 86% of adults surveyed. "It's not unknown that the problem of obesity is continuously on the rise with nearly ⅔ of the population falling into this category. We really need to be looking closely at our eating habits to understand where changes can be made, Takeaways and processed ready meals are considerably higher in fat, salt and sugar than freshly prepared food and a diet that consists mainly of them will naturally propel the issue. There's a real misconception that cooking from scratch takes a lot of time, energy and creativity. In actual fact, if you keep things simple you can easily make a dish in as little as 15 minutes, which is much quicker than most takeaway delivery services and more importantly, more nutritious." said Alaska Seafood Campaign Ambassador, Rachel Green.